The days of time-consuming blowouts are over. Pins just give you curls. A head full of round brushes is totally inconvenient. Pop cans…who has the skill to pull that off? 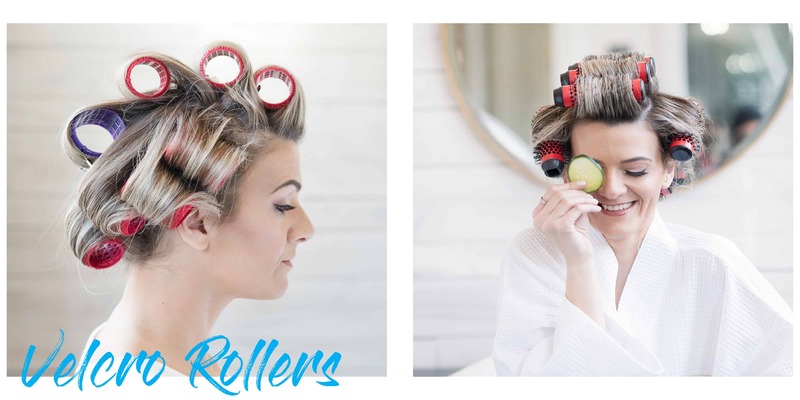 Velcro rollers? Goodbye 1980’s blowout techniques. Read on to see how these hair “tools” stack up against the revolutionary Click n Curl. Old School: Time-consuming hair pins give you big curl, but take a big chunk of your time. New Rule: In today’s world, being on-the-go is every day life, so having a hairstyle that you can achieve easily every day is a big deal. Pins have been used in the past to hold the newly shaped, smooth hair while it cools to set and hold the curl. But with Click n Curl, you avoid the extra step by just releasing the handle and leaving the barrel in place to allow the smooth new curl to set. Click n Curl is a time-saver because you can dry and style at the same time, plus your blowout will last for a couple days! Old School: 10 round brushes will give you a pretty decent blowout. But, honestly, who has 10 round brushes?? And who wants that many round brushes in their hair at one time?? New Rule: A blowout isn’t worth the effort of maneuvering around multiple handles of 10 round brushes. Click n Curl keeps things neat and light. 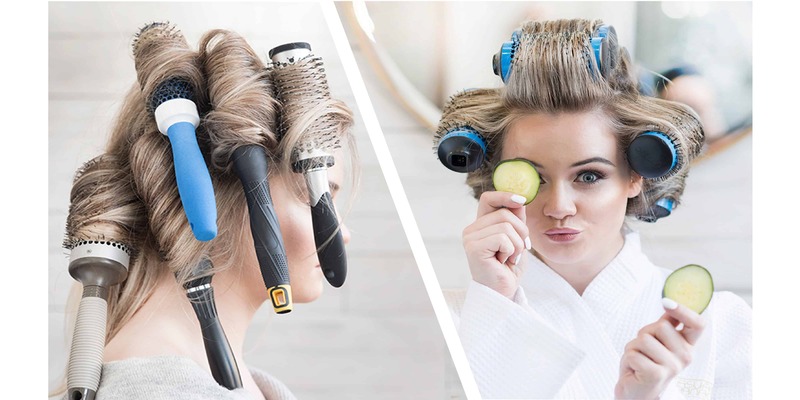 With no cumbersome handles to weigh your head down, Click n Curl has a detachable, universal handle that clicks into the barrels to roll hair up, and once secured at the scalp, the handle clicks out of the barrels, leaving the lightweight aluminum, ceramic coated barrel in your hair to set the curl. Old School: Velcro Rollers only fulfill half of the blowout equation; A true blowout requires rollers AND a round brush. New Rule: You can’t use Velcro rollers alone to truly blowout your hair, which involves brushing out your hair in conjunction with a blowdryer. 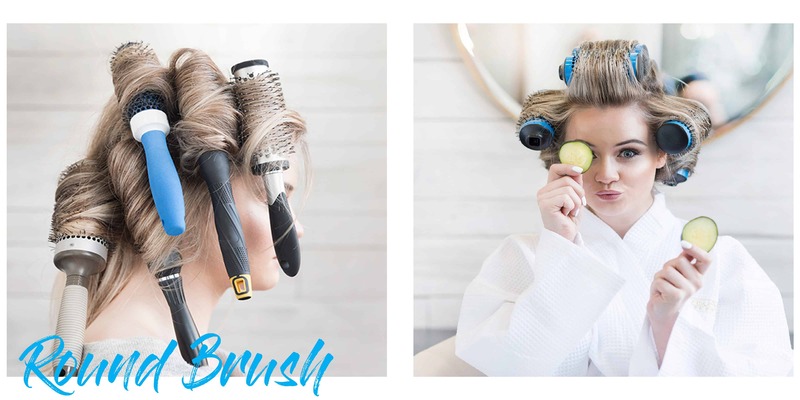 Click n Curl essentially acts as both a round brush and a roller, because of the detachable universal handle that allows you to leave the barrel in your hair to cool (which is how you scientifically get volume and curls to begin with). Avoid all the extra steps and extra time of blowing out your hair with a round brush and then redoing each section with Velcro rollers. Old School: One-size fits all with pop can curlers, that is, if you can even master the technique. New Rule: Not every woman has hair long enough to wrap around pop cans. 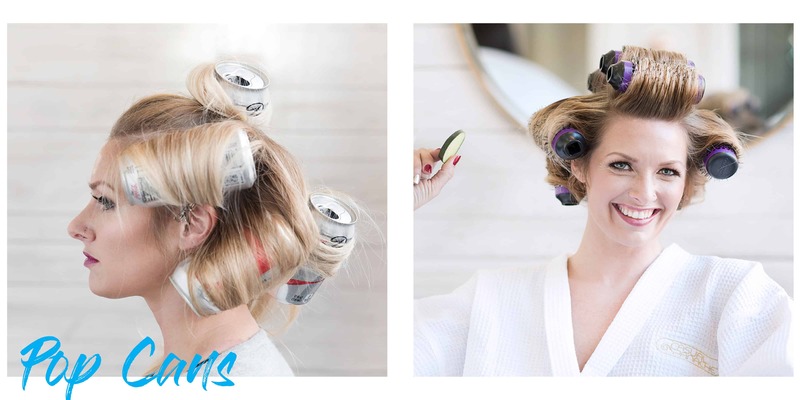 And, if you do have hair long enough, once the pop cans are in the right place, you must pin them in to stay put. What makes Click n Curl really unique is that there are FOUR barrel sizes to choose from: Extra Small, Small, Medium and Large for hairs of all variety of lengths. Plus, each barrel has nylon bristles which hold the barrel in place. So, no need for pins, or pop cans, or any extra steps. 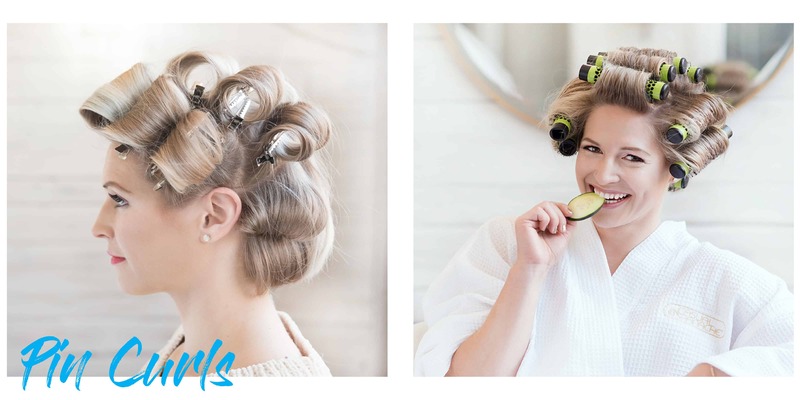 Click n Curl customer’s product idea added to line, available now! Casual Panache now certified Woman-Owned business! Extra Small Click n Curl Released! Best way to protect your hair from heat damage: style with Click n Curl! The body and volume last for days, but does your hair?